This weekend, 20-22 July 2018, the International Society for the Study of Greek and Roman Music and its Cultural Heritage, a.k.a. 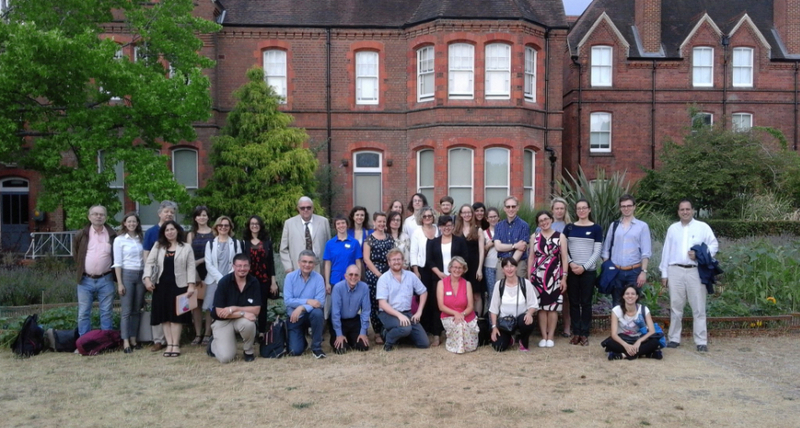 MOISA, held its 11th international conference at UoR’s Museum of English Rural Life, organised by UoR Classics’ Professor Ian Rutherford and James Lloyd, working with Donatella Restani (University of Bologna). The three-day conference, themed Music and Materiality, began with a keynote speech from Rupert Till (University of Huddersfield) on ‘An introduction to Archaeoacoustics’. 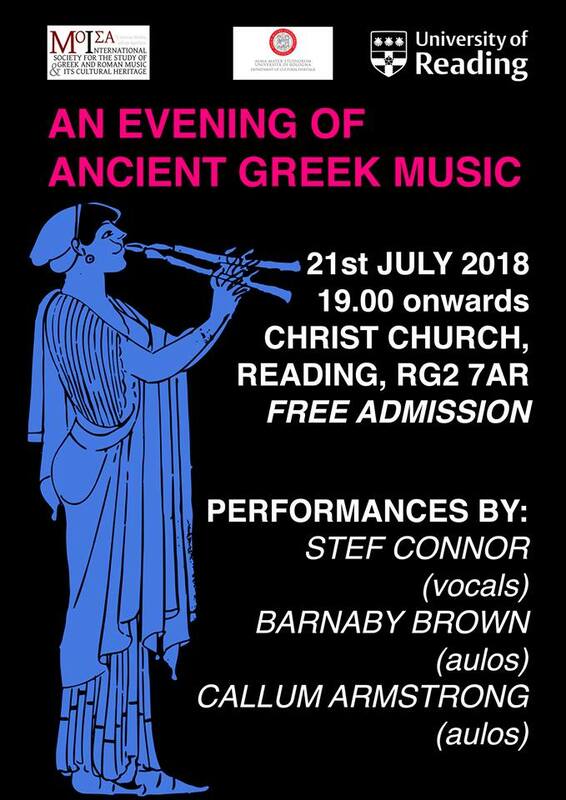 Another highlight was a Saturday night concert at Christ Church, Reading, with performances from Barnaby Brown on a reconstruction aulos (reeded pipe) and Steph Connor on a reconstruction barbitos (a.k.a. ‘Lydian lyre’) and vocals. The research topics of papers by 27 scholars—representing academic institutions from Austria, Brazil, France, Germany, Greece, Italy, Spain, UK, and USA—ranged from the instruments themselves (auloi and percussion), archaeological evidence of music in Rome, Apulia and Attica, to exciting new approaches and finds. Particularly touching was Prof. Stelios Psaroudakes’ dedication of his paper to the memory of Dr John Gray Landels, his PhD supervisor during his own studies at University of Reading. Dr Landels was instrumental in UoR Classics’ acquisition and study of antiquities relevant to the study of music in the Ure Museum of Greek Archaeology, such as the Reading Aulos. The event culminated with a visit to the Ure Museum, where visitors viewed a special exhibition of these antiquities and others on loan from the University’s Special Collections as well as the British Museum: Music and Materiality, curated by James Lloyd (on display from May-July 2018) and a hands-on ‘How to make an aulos reed’ activity, led by Callum Rogers. Warning: it takes a high skill level both to make the reeds and play the auloi!